So “10 hands a day” was productive. 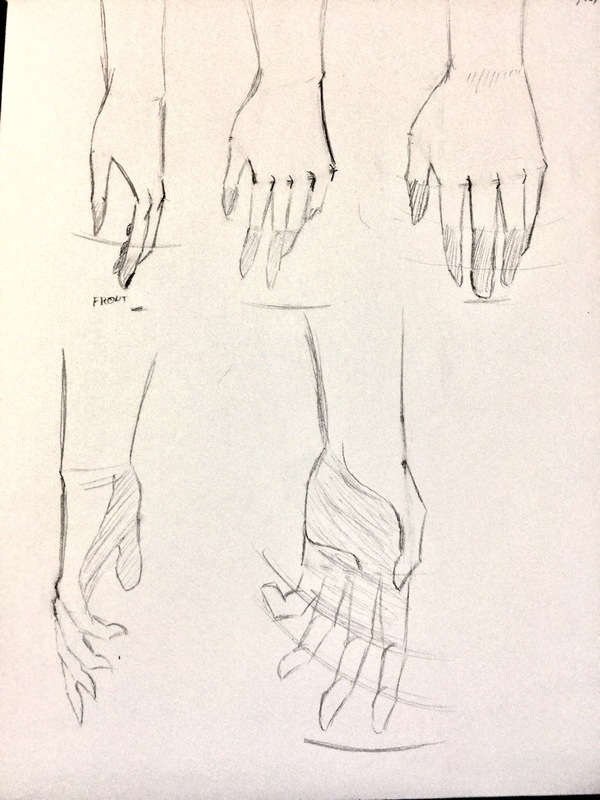 But with school and work, I didn’t really have time to do it consistently, because 10 hands is time-consuming. So I bought a massive sketchbook (300 sheets, so 600 pages) and it’s like 11” x 12.5”. When I can, my go-to drawing time (unless I have something specific in mind) will be to practice anatomy in that book. Hands until I’m satisfied or sick of them, to start. Here’s Day 1 (color-corrected so it shows up in the image). This is from a youtube tutorial by “koizu”.